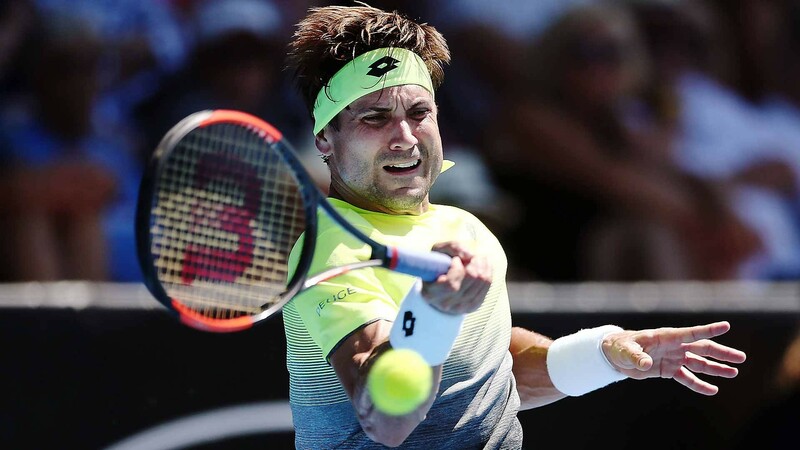 David Ferrer opened his bid for an unprecedented fifth title at the ASB Classic, battling past Chinese teen Wu Yibing 7-6(7), 6-4 on Monday. The Spanish veteran prevailed after a gritty encounter, opening his 2018 ATP World Tour campaign with his 718th match victory. Ferrer is looking to carry the momentum from a strong second half of 2017, as he eyes another successful week at one of his favourite tournaments. He lifted the Auckland trophy in 2007, 2011, 2012 and 2013. Victory over the Chinese #NextGenATP star wasn't as straightforward as the 35-year-old had hoped. Yibing saved nine of 12 break points faced and secured a critical break of his own when Ferrer served for the match at 5-3 in the second set. But the Spaniard's experience would prove decisive, closing out the win in exactly two hours. Ferrer will next face 2017 finalist Joao Sousa for the third time in their FedEx ATP Head2Head series (tied 1-1). Sousa rallied past Donald Young 6-7(8), 6-4, 6-2 to open Monday's action, prevailing after two hours and three minutes. The Portuguese No. 1 finished runner-up to Jack Sock last year. Fifth seed Robert Bautista Agut, who finished 2017 in the Top 25 of the ATP Rankings, for the fourth straight year, swept past Kiwi wild card Michael Venus 6-2, 6-1 in 56 minutes. The Spaniard, the 2016 Auckland titlist, now waits on an American winner, Steve Johnson or last week’s Brisbane International presented by Suncorp finalist Ryan Harrison. Elsewhere, #NextGenATP Canadian Denis Shapovalov, the 2017 Star of Tomorrow presented by Emirates, lost just two of his first-service points (24/26) and struck nine aces to beat Rogerio Dutra Silva, a Brazilian qualifier, 6-3, 6-2 in 57 minutes. He will next face second seed Juan Martin del Potro, who he beaten en route to the ATP World Tour Masters 1000 Montreal semi-finals last year. #NextGenATP Russian Karen Khachanov battled hard to beat Yuichi Sugita of Japan 6-1, 3-6, 6-4 in one hour and 40 minutes.